Peggy passed away peacefully on March 14, 2019. She is loved and missed by her husband Ron, daughter Pat (Harold) and son Ken (Robin). Peggy’s granddaughters Kelsey (Derek) and Lindsey (Andy) as well as her great grandchildren, Makayla and Liam have many fond memories of time spent with Grandma Peggy. 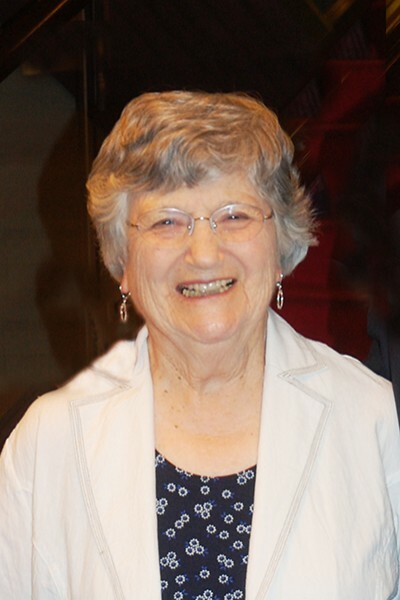 Peggy was well regarded as a teacher and mentored high school students in the Fraser Valley for many years. She was an active member of St Andrews United Church in Ft Langley and enjoyed volunteering on many local projects with the Lions Club. A celebration of life and reception will be held on Tuesday, March 26th at 1 pm at St Andrews United Church, 9025 Glover, Fort Langley. In lieu of flowers, donations may be made to the Langley Care Foundation of the Langley Lodge, 5451 – 204 St, Langley, BC, V3A 5M9 in appreciation for their loving care of Peggy.